Our removal company has helped thousands of people relocate from London to Bristol as well as to all over the UK and further afield. That’s why we should always be the first port of call when you’re thinking about your own home or office move to Bristol. We know moving home from London to Bristol can be a daunting task when you’ve so much to organise, plan and possibly have a deadline to meet. That’s why Moving Service supply a range of extra removal services to help when you’re moving house to Bristol. If you call us now in fact on 020 8746 4402, you can tell us what you need from our removal carrier and we can in turn confirm just how low our prices are. As well as low prices, if you’re looking for a removals firm to Bristol from London then we know how important you need to trust and rely on that removals firm. This is why we see ourselves as a kind of support who’s there for you whenever you need us. We care about our clients, because we know your satisfaction means you will recommend us to your friends and family. It’s this attitude which has allowed us to build up our removal business to the highly respected and reputable company it is today. That’s why you can trust us to transport your household items safely and efficiently to Bristol from London. 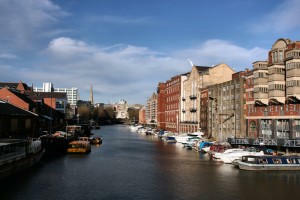 Bristol itself is a vibrant, bustling, commercial centre with approximately 433,000 inhabitants. Its landmark Clifton Suspension Bridge was built by Isambard Kingdom Brunel and crosses the Avon Gorge and the River Avon. It links the area of Clifton in Bristol with Leigh Woods in Somerset. 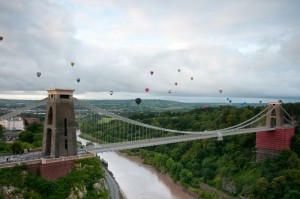 Bristol has gone though some major redevelopments and investments in recent years. One example of this is the newly-opened 500 million Cabot Circus shopping and leisure quarter. Alongside this and other modern developments, the town still has much Medieval, Georgian and Victorian architecture to admire. Bristol also has the world’s fifth oldest zoo, one of Europe’s most highly regarded science centres and many outstanding museums. In order to make your own house move to Bristol the best it can possibly be, we also have a range of transport options and removal packages available for you. If you simply need a man with a van then that’s what we provide. If you think you would like more help then our removal staff are all highly trained and dedicated to making sure your house or business relocation to Bristol is all you want it to be. If in the build up to your removal day for instance, you feel you may need some extra storage space then we have all the storage space you could possibly need. Secure units, large or small can be hired long-term or short-term. If you need extra packing accessories such as mattress covers, moving boxes, wardrobe boxes or protection bubble wrap or much more then we have it for you. You’ll quickly find that when it comes to hiring a removal carrier from London to Bristol no-one gives you more than our removals company. So why not get in touch with us and let us know what it is you’re looking for exactly. We’re as flexible as we are friendly and inexpensive. We truly believe what you want is all that matters and strive to give an excellence of service other removal firms rarely do. So call Moving Service now on 020 8746 4402 and see for yourself how one phone call can immediately make moving from London to Bristol a whole lot easier.